The EBI team is having a wonderful time in Boston at the 86th International Conference of Doble Clients. 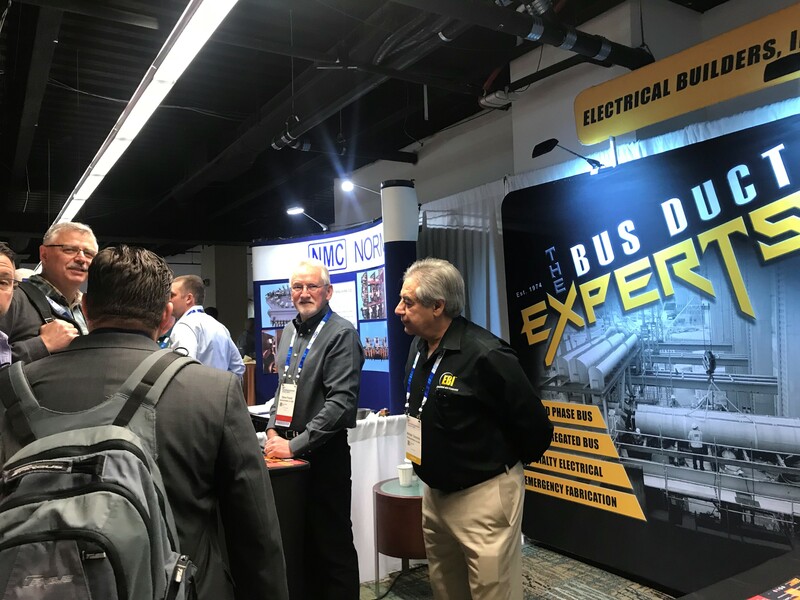 A number of great discussions have been taking place in our booth after our well received presentation entitled; ‘What you Need to Know About the New IEEE Standard in Order to Extend the Life of your Existing Electrical Bus System.’ If you are at the conference and have not stopped by yet, we hope to see you tonight! We would also like to extend a special thanks to our friends at Doble for asking us to be a part of this great event! If you are not at the conference and have questions about your bus system, are in need of bus system repairs or inspection or are looking for ways to extend the life of your critical electrical components, we invite you to give us a call (877-297-0616) or send us an email at ask-us@electricalbuilders.com.